Doyle Security Systems was established in 1919, in the city of Rochester, New York. The company is still a family-owned business and is led by the fourth-generation CEO and President Mr. John G. Doyle Jr. They currently serve over 25,000 customers spread across the States of New York and Pennsylvania, with 5 offices in the cities of, Albany, Syracuse, Rochester, Buffalo, and Erie. With nearly a hundred years in business, customers can expect professional services and excellent technical support. Doyle Security Systems provide a range of customizable security systems and all new clients are entitled to free installations. Apart from simple alarm systems, they offer home automation and energy management products as well as medical monitoring and video surveillance services. As an authorized Honeywell dealer, they supply the latest security equipment and hardware. Furthermore, the company is a certified member of NetOne International, an elite network of 37 of the best independently owned security companies in North America. This is a huge achievement considering there are over 14,000 players in the industry. While having a huge customer base, the company covers a very limited area in just two US States. That is less than 5% of the US geographic area and seriously limits the reach of the company. 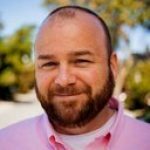 They also charge upfront fees on most of their security plans which simply increases the cost for a new customer and can drive them towards a lower-priced competitor. The website provides no information on equipment warranties and the company does not clearly state their terms and conditions for service cancellation or transfer fees. Customers might need to pay for an early termination but the exact figure is not mentioned. This is troublesome since they have a standard 36-month contract obligation on all packages they offer. This contract length is also a problem because despite being common in the industry many new players are offering 24-month, 12-month and even no contract obligations at all, just to attract new customers. 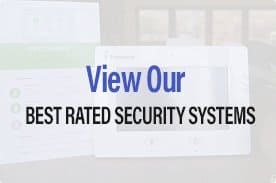 Basic Security System – $0 Upfront – $25/month: The very basic security system which comes with a $0 down payment and a limited set of equipment and features. Interactive Security – $0 Upfront – $28/month: A slightly advanced plan with $0 down payment. With a slightly higher monthly fee, customers can receive email and text alerts as well as the ability to arm and disarm the system remotely. Home Automation – $149 Upfront – $35/month: A more expensive option which builds upon the interactive security plan and provides lighting control. 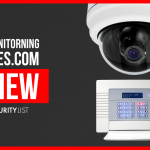 Security & Video – $149 Upfront – $35/month: Priced similar to the Home Automation plan, the security & video plan skips the automation features and provides remote live video look-in. In the case of an alert, customers receive video clips via email and text in real-time. Total Home – $249 Upfront – $39/month: The most expensive and complete security plan which combines all the features of the previous packages. 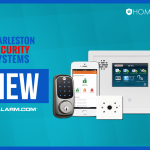 Doyle Security System is an authorized Honeywell dealer and provides a wide variety of equipment including fire protectors, temperature detection, home and business automation, medical monitoring, fall detection etc. Customer Support is provided 24/7 through a dedicated phone number and email. Apart from these, their website provides numerous FAQs and a live chat feature which is available during work hours. The company has excellent reviews online with a majority of customers praising the quick response time and the highly skilled technical staff. Doyle Security Systems require a minimum 36-month contract obligation on all of their plans. Contracts can be terminated prematurely but the customer would need to pay a cancellation fee. Doyle Security system is a recognized name in the industry and a well-known vendor in Upper New York. For customers living in the region, the company can provide top-of-the line Honeywell equipment to meet all kinds of security, automation and emergency needs. While it might be expensive for some, considering the lengthy contract obligation and upfront costs, the company has an excellent reputation. Customer support is top-notch with quick response times and technicians who are certified and highly professional. Becoming part of the Doyle’s 25,000+ customer base might be expensive but it can turn out to be a worthwhile investment.